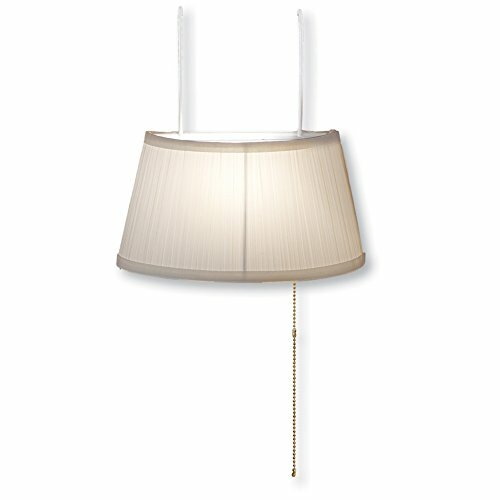 Hang this lamp over your headboard so it directs light directly over your shoulder. Perfect for reading in bed, it's simple to turn off when you get drowsy just reach for the pull chain. Easy to move or adjust without tools, it slips onto the headboard with wire-coated hooks that won't scratch your furniture. Req. one 25 watt bulb (not incl.). Polyester and iron. Approx. 11"L x 5 1/4"W x 11"H including hooks. Available in Burgundy, Green or Ivory.